Great walking path to several restaurants. Completely furnished Mill Point Condo - 1 bedroom with queen size bed plus queen size sofa bed in living room. Enjoy lovely views of the river and yachts from your private patio. Also one of the best places to watch holiday fireworks. Conveniently located next to the Holiday Inn Resort and fine dining at Jack's Waterfront Restaurant with live entertainment in the lounge. Only minutes from Grand Haven State Park Beach on beautiful Lake Michigan and Grand Haven downtown shopping, both accessible by trolley and new bike path. Enjoy the Coast Guard Festival during the last week of July and first week of August, the Muskegon art fair and food fest and the Grand Haven Waterfront Musical Fountain, which runs nightly from Memorial Day through Labor Day. Charter fishing, scenic cruises and boat slip arrangements available. Activities for every season. Reasonable weekly or monthly rates. I grew up in Grand Rapids and my friends and I would drive to the Grand Haven State Park all year round to explore the shore. I decided to purchase a home close by the beach for my retirement so I could stay in touch with my friends and family. I currently live in the San Francisco Bay area of California but, my husband and I still return to the area to explore the beach, the shops, and the restaurants. My family lives close by. The Spring Lake area is like a era of time gone by. The gorgeous lakes and big green trees, the quaint shops, the lively night life. Some of the friendliest people I have ever met. 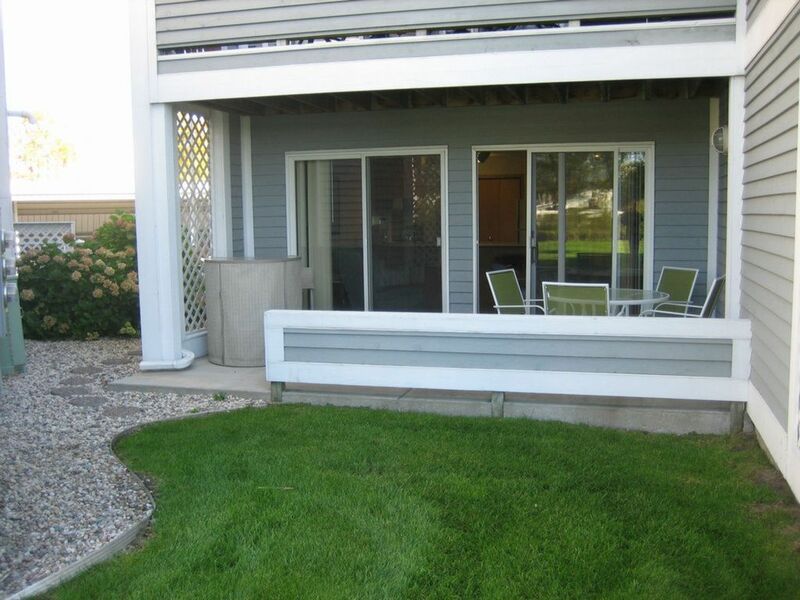 This property is a small community that takes pride in the look and upkeep of the building and grounds. No need to drive for a drink or dinner. There are several bars and restaurants close walking distance. Was a great place to stay for extended time ! Location was perfect and the unit had everything needed! Clean and comfortable! Definitely recommend this VRBO! Plus the owner was very responsive with any questions! Very nice condo with convenience to everything. Owner was very accommodating! Great location. Awesome view of the fireworks! Condo needs some updating but overall nothing to complain about. Nice owner who is available for anything. For long term rental you may pay monthly.